The free, semi-annual Family Estate Planning workshop series, sponsored by the Community Foundation of Western Nevada, begins on Wednesday, September 19, 2018. The eight-week workshop series features different presenters addressing all topics related to estate planning. The workshops are held every Wednesday at the Sierra View Library at 10:30 a.m. and 1:30 p.m. Jason Morris has presented since the program’s inception in 2010. He will speak on the benefits and advantages of trust planning on October 10, 2018. Call 775-333-5499 to register for the workshop series now. School has just started up again for many students, from grammar school to university. Everyone has had the summer to goof off, and now it’s time to get up to speed. At my office, I have recently met with a number of clients who are finally getting around to their estate planning, a task long-postponed for some. They all have questions for me, ranging from broad questions about how it all works to more sophisticated questions about tax planning; so mid-August seems like the perfect time to reflect on a few basic concepts in estate planning. What is the difference between a will and a trust? A will is a document that becomes effective at the death of the person who created it, a/k/a the “testator”. To pass property via a will, it is generally necessary to lodge the will with the court in the jurisdiction where the testator lived at the time of death, and to petition the court to admit the will to probate. A probate takes time and costs money. It also has a public character to it, in the sense that the will can be accessed by the public and your nearest family members will receive a copy of it even if they are not beneficiaries under it. A trust can be created during life and you can place your assets in the trust and administer them as trustee. Upon your death, or upon your becoming incapacitated, the person whom you name as successor trustee can take over the administration of the trust. At your death the successor trustee will administer and distribute the assets according to the provisions of your trust, without need of court supervision. If done properly, a trust will avoid a probate at your death, and also provides a level of disability planning that could avoid a guardianship. This saves money, and also keeps your estate planning out of the public eye. Why do I need a will if I have a trust? If you have a trust, your assets will pass from the trust to your beneficiaries after your death. However, that only works for the assets that are actually in the trust. Any assets that were not placed in the trust, or were taken out of the trust, will need to be put into the trust after your death. If you have created a trust, you should also have a “pour over” will, meaning a will that leaves all your assets to your trust. If you do not have a pour over will, any assets not placed in your trust will pass according to intestate succession (unless such assets are held in a manner that controls their disposition at your death, such as a beneficiary designation account or a joint tenancy). I have a trust in place but I want to make a few changes. Does it need to be completely redone or can it just be amended? It depends. If all you want to do is change a beneficiary or a successor trustee, it may make sense to do a simple amendment. If you need extensive changes, or if your trust is simply out of date with the law because of when it was prepared, it may be better to amend and restate it. This means a new trust agreement is prepared, which amends in its entirety the trust agreement you originally had. Sometimes it is less expensive to do this than to prepare a series of amendments. Where can I get a power of attorney? Powers of attorney for financial matters and for health care are part of an estate planning package. You can also obtain forms on line. In Nevada, as in many states, the probate code provides a form for each of these documents. However, you should be aware that the forms are not necessarily easy to understand and they require you to make certain choices that are best understood if a lawyer explains them to you. If you do not have estate planning in place or wish to have your existing plan reviewed, contact a qualified estate planning attorney today. Having a good plan in place will give you a sense of peace, knowing you will be taken care of in the manner you wish if you become disabled, and your loved ones or your favorite charities will be provided for at your death. Most people establishing a revocable living trust select a relative or friend to act as the trustee. Many people feel that this is a bestowal of honor or dignity being conveyed to the nominated individual. The trust creators rationalize the choice of related party as trusts have a very personal element – distributing accumulated assets to loved ones or charities. Yet, the relationships between family and friends grow complicated with emotions and other factors after the trust creator dies. The mere fact of a close relationship is not enough to qualify any individual for the role of trustee. We find that many clients benefit from the inclusion of a professional trustee to administer and distribute the trust estate. We regularly hear from clients during the estate planning process that “my kids all get along,” and “they would never fight over this stuff.” However, there are frequent disputes between siblings related to the actions or omissions of the appointed trustee. Where parents intend to disinherit one child or make uneven distributions among the children while naming one child as trustee, the groundwork is laid for a conflict. Similarly, parents may desire to leave assets in trust for the benefit of a child, preventing the spendthrift child from blowing the accumulated wealth. By naming a sibling of the spendthrift beneficiary as the trustee of the trust share, clients make the appointed child the bad guy. The chosen trustee may quickly learn that the assigned task is nothing but pain and heartache. Recently, our firm handled a case where the non professional trustee retained assets in trust for decades longer than she should have. The trust agreement called for the immediate disbursement of assets to several individuals and several charities. Rather than make the prompt distributions, the trustee kept the trust intact and reaped hundreds of thousands of dollars in fees for herself. The charities and individual beneficiaries suffered significant damages which were nearly impossible to collect from the destitute individual trustee. To avoid these difficulties and provide for a more professional administration, we recommend naming a professional trustee, such as a Nevada trust company or bank. Due to our favorable trust laws and no state income tax, Nevada has a strong industry of professional trust companies. Some argue that professional trust companies charge a higher fee than a lay person. That may be true in isolation. Yet, if the beneficiaries fight the trustee through litigation or the trustee does not appropriately distribute the assets as described above, the professional trustee fees are much lower. One of the great virtues of trusts is their flexibility. Trusts can be drafted to divide the duties between a professional fiduciary and the individual trustee. A trust company can take responsibility for tax issues, issuing account statements, and making investment decisions. The non-professional trustee can be in charge of making distributions to the beneficiaries. The individual trustee will understand the beneficiaries’ problems and idiosyncrasies and can better address the individuals’ needs. For those who have trusts presently, you may consider removing and replacing your current trustee with a professional. For those considering a trust, we would be happy to discuss the advantages of naming a professional trustee. When Should I Do My Estate Planning? Today is a good day to start thinking about your estate planning. Who should have a will or trust in place? Do I need this now or can I put it off? Do I need some kind of health care document? What about powers of attorney? There are lots of questions to consider. No Estate Planning. If you have never done any estate planning, you should consider at least creating a will and putting in place a health care power of attorney and a regular power of attorney. A will allows you to name a relative or friend you trust to handle your affairs after your death. It also gives you the opportunity to direct how your estate will pass at your death; you can omit disfavored relatives, or include relatives or friends who would not otherwise inherit from you if you died without a will. You can also direct that beneficiaries receive a different share than what the law would otherwise provide, or that certain persons receive particular assets. If your assets are more significant (neighborhood of $200,000 or more), you should also consider creating a trust in which to hold your property. This can minimize taxes, and if properly funded, will avoid the expense of a court supervised probate proceeding—which is generally required when only a will is in place. You should have a health care power of attorney in place to nominate the person(s) you want to make decisions for you if you become unable to do so, and to express your wishes as to what kind of medical treatment you want and whether or not you desire food and water even after medical treatment has ceased. A power of attorney for financial matters is also helpful and can avoid the necessity of a guardianship should you become incapacitated. Minor Children. If you have minor children, you should definitely have a will in place. Even if your assets are not significant, a will can (and should) contain a clause that appoints a guardian for your children should you die. This allows you to plan for your children so that there will be a smooth transition at your death. Under Nevada law, the only place to nominate a guardian for minor children is a will. You should, of course, ask the persons you wish to nominate in advance to make sure they are willing. Outdated Estate Planning. If your estate planning was done a long time ago, you should review it to see whether there are any changes you would like to make to those you have designated to take care of trust or estate business after your death, and to those who will receive your property. Also, tax, real estate and other laws affecting trusts and estates change over time, sometimes quite dramatically. Even if you have no changes to the substantive provisions of your estate planning documents, you should have a lawyer review your documents every couple of years or so to recommend any updates. Major Life Change. If you have recently been through a major life event such as marriage or divorce, or if there has been a death or a birth in your immediate family, you should get your estate planning in place or have it updated. A new spouse should either be included in your estate planning as receiving something, or should be mentioned in a way that makes it clear the spouse is not intended to be included. In Nevada, there are statutory provisions that revoke a will or beneficiary designation made in favor of a spouse upon divorce from that spouse; but it is best to re-do your estate planning after divorce rather than to rely upon the statutory revocation. Similarly, the law makes certain provisions for what happens to gifts when the intended beneficiary has died before the person making the will, and for additional family members who are later born; but the law may or may not express your preference. 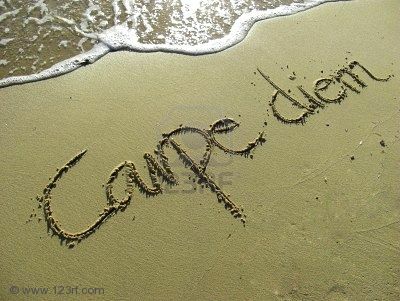 In sum, seize the day! You do not know how long you will live or when you will die. You will buy yourself peace of mind and you will save your relatives and loved ones a lot of trouble by doing proper estate planning now. To begin the process, contact a qualified estate planning attorney today.